and was full of plans to wear it with flats in the summer and ankle boots until the weather got warmer. Sadly, it wasn't to be. In my enthusiasm for ordering the skirt I neglected the fact that I am a short arse. The skirt arrived today and looks ridiculous on me. Really ridicoulous. Like I was wearing my granny's skirt or I've turned Amish. It's just way too long. I don't know how tall people at Asos think the average woman is but while I am short (5ft 3) I'm not Kylie Minogue or anything. The model in the picture must have had a good 7/8 inches on me. I was home alone today so had to do a mirror shot (in our very narrow mirror), so apologies for the photo. I tried it on with a few different things but it only got worse from here. It's definitely going back and I'm not happy about it. 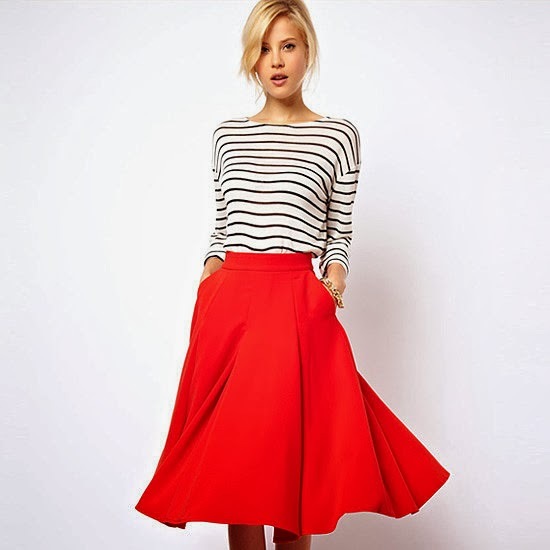 Asos do have a similar skirt in a petite version, but of course, most sizes are sold out, perhaps because other people have had similar problems. I'm so disappointed, especially as since I bought this skirt a few days ago it has gone on sale and is now €27.39. That just adds insult to injury. 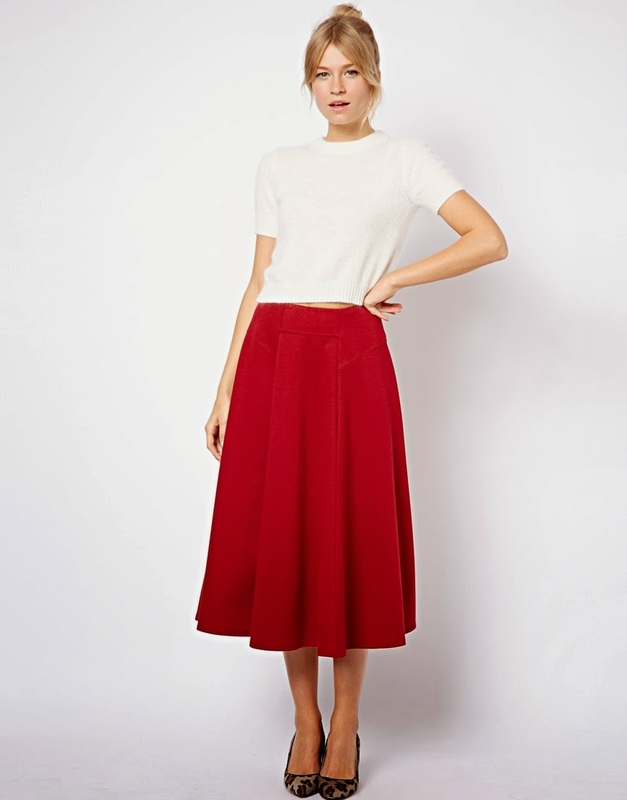 I'm not sure whether or not to continue the search for a similar skirt, or where else does a good petite range (Topshop?) but this skirt is most definitely going back! I know - Sadly some things just only look good on tall women. Sorry to hear you had the same experience but also it makes me glad I'm not alone!